Dana G. “Dane” Clayton, 52, died Feb. 25. He was a lifelong resident of Manatee County, growing up on Anna Maria Island and graduating from Manatee High School. He attended Manatee Community College and Manatee Technical School. He served in the U.S. Coast Guard and was a firefighter/paramedic in Sarasota and Manatee counties, mainly on Longboat Key. Since 2005, he owned and operated Clayton’s Painting & Pressure Washing. A private celebration of life will be held. Brown & Sons Funeral Homes & Crematory 43rd Street Chapel is in charge of arrangements. Condolences may be made online to www.brownandsonsfuneral.com. He is survived by his mother, Linda Roberts Clayton; brothers Richard G. Farris and wife Renee of Lebanon, Tennessee, and Allan B. “Brad” Jr. of Grand Junction, Colorado; nephew Josh Farris of Lebanon; aunt Signa Bouziane; cousins William T. Bouziane and wife Victoria, Cory R. Bouziane and wife Dawn and their daughter Reilly Rose, all of Bradenton, Amber Roberts Gray of Jacksonville and Derek Roberts of Tucson, Arizona. The Rev. Father Robert Mongiello, 68, of Bradenton died March 22 in Sarasota. He was born July 16, 1949, in Mercer, Pennsylvania, to Vincient and Pauline (Hinds). He graduated from Mercer High School in 1967. He then attended Clarion State College and received a degree in elementary education. He resided in Erie, Pennsylvania, and taught in Finley Lake, New York. He also directed choir at Emmanuel Presbyterian Church in Erie. He later went to seminary and was ordained by the Diocese of Venice in 1987. He served as pastor at Sacred Heart Church in Punta Gorda and at St. Bernard Catholic Church in Holmes Beach. He retired in 2009 due to illness. He had a great love for music and he had the voice of an angel. He sang in choirs throughout his life. A Mass of Christian Burial will be held in Grove City, Pennsylvania. Burial will be in Mercer. Memorial donations may be made to the American Diabetes Association or the Dioceses of Venice. He is survived by his sisters, Paula Magargee and husband Ron of Pardeeville, Wisconsin, and Lisa Pettican and husband Brad of Johns Island, South Carolina; nephews Nathan Pettican and Benjamin Magargee; nieces Lindsay Clark, Erin Cutsforth and Danielle Schmieder; grandnephews Drake Clark, Carter Magargee and Glen Cutsforth and grandniece Kadience Clark. Jesse Aaron Raupp, born July 14, 1981, in Harvard, Illinois, died March 18 in Janesville, Wisconsin. He had a passion for drag racing and cooking. “Big Pappa’s” tater bombs will be missed by all at the track. He is survived by his mother, Tjet Martin and husband Bill Shearon of Bradenton Beach; father Ray and wife Donna Raupp of Harvard; brother Bradley Martin of Janesville; and many aunts, uncles, cousins and an extended family of friends. Charles Everett ‘Ev’ Southwick Sr.
Charles Everett “Ev” Southwick Sr., 86, died Dec. 9, 2017. He was born Oct. 6, 1931, in Fairbanks, Alaska, and settled in 1944 in Seattle, where he attended Renton Junior-Senior High School and then the University of Washington, where he lettered in track. He completed the National Aviation Cadet program and received his commission and Wings April 13, 1955. He served in fighter squadrons 1955-66. 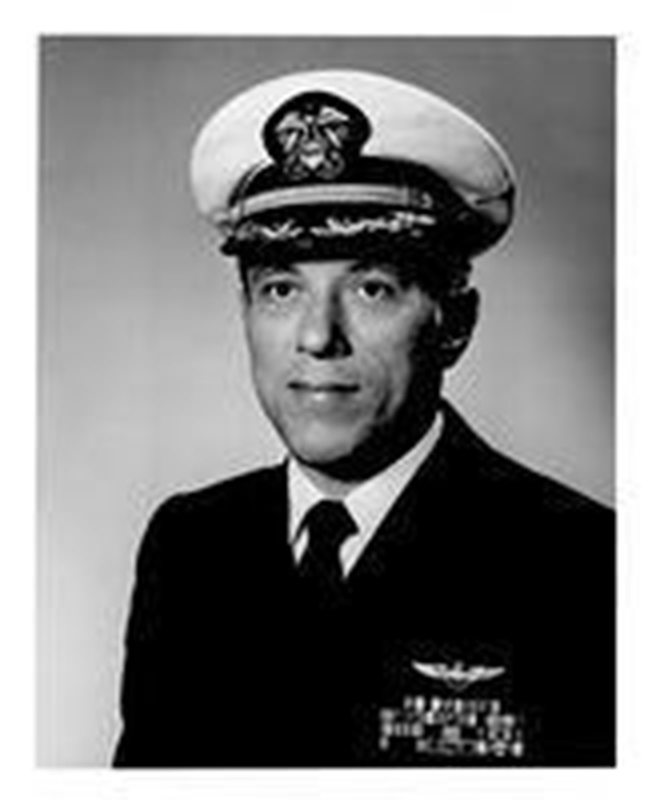 He participated in the Gulf of Tonkin incident in 1964, strafing and sinking a North Vietnamese PT boat. Following a brief stint at the Bureau of Naval Personnel, he returned to the cockpit in October 1966, flying the F-4B Phantom. In April 1967, he and his RIO, Jim Laing, shot down a MiG in a dogfight. He was subsequently shot down and captured May 14, 1967, during a mission against the Than Hoa bridge. Following nearly six years of imprisonment and upon repatriation, he retired from the U.S. Navy as a captain. 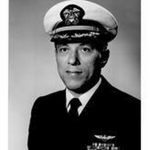 He was the recipient of the Purple Heart, Silver Star, Legion of Merit, Distinguished Flying Cross, Bronze Star and the Prisoner of War Medal, Armed Forces Expeditionary Medal and Navy Unit Commendation Ribbon. The tea cup he used to lead the choir during his imprisonment was donated to the Smithsonian Museum, where it is on display at the American War History Museum. He attained his juris doctorate from Hastings College of Law in 1976 and held multiple positions in the private sector, including assistant deputy director for congressional affairs at NASA. Serving as a docent on the USS Midway since 2008, he provided special insight during his tours as he served on the Midway and flew F-8 Crusaders from her deck. In 2017, he was honored at the Midway American Patriot Award Gala alongside other military officers representing naval aviator POWs who served during the Vietnam War and continued to serve as docents aboard Midway. He was a longtime member of the San Diego Air & Space Museum board of directors and enjoyed participating in the scholarship award selection process. He was an avid golfer, baseball fan, lover of music and always looked forward to his annual Alaska fishing trips with his son Mike and his wife Sheryl, who reside in Bradenton Beach. He is survived by two other children, Ev Jr. of Bradenton and Craig Everett of Seattle; six grandchildren; and three great-grandchildren.